Fallout 76 takes the series in a new direction, but it still has an open world – in fact, it’s the largest in the series yet – so you’ll want to know what all the Fallout 76 locations are as you enter the beta. Locations are map markers that, once visited, let you freely fast-travel between them, enabling you to cover entire regions of post-apocalyptic West Virginia with ease. Thanks to some dedicated Reddit users, a few glimpses of the game, and our knowledge of the state, we’ve created a list of all known and possible Fallout 76 locations so you know where to start adventuring when you wake up a day after the Reclamation Day celebrations. This rundown of Fallout 76 locations plot out the various confirmed locations and where you’ll find them on the Fallout 76 map. But we’ll also recount as many of the unconfirmed locations that have been spotted in trailers as possible. So, whether you want to visit the Mothman Museum or take a stroll through the treacherous Cranberry Bogs, here are all known Fallout 76 locations. Locations are effectively the little map markers you unlock by exploring the Fallout 76 map. In previous Fallout games you can find locations at any notable map point, which makes fast-travelling around the map a lot easier, so it helps to unlock as many of these as possible. We’ve already seen Vault 76 in its entirety thanks to various gameplay snippets from Bethesda. This is the very starting point for every new Fallout 76 player, so don’t expect to find any enemies within. We haven’t seen Morgantown Trainyard in-game yet, but from the map it looks like it’ll consist of two large storage buildings and will be separated from the rest of the city by a river. In the centre of Morgantown you’ll find the Vault-Tec University, which is modeled on the real-life West Virginia University. You can spot the sign for Bolton Greens on the Fallout 76 map, but we’re still not sure what’s actually there. The only real-life Bolton Green that we’re aware of is in Connecticut, so it’s unlikely that the two are linked in anyway. Fallout fans will be aware of the ramifications of this Fallout 76 location. There was a Moma Dolce’s Food Processing plant in Fallout 3 that housed a number of ghoulified Chinese soldiers. If you do a little digging you’ll discover that the company was actually infiltrated by sleeper agents shortly before the bombs fell. Does this means we’ll come across some Chinese soldiers at the West Virginia plant? This retro-futuristic version of the real Top of the World resort sits atop West Virginia’s Snowshoe Mountain. Bethesda has been keen to celebrate this quirky museum in its marketing for the game. In reality, this is a museum dedicated to a creature from West Virginia folklore, the Mothman. It looks like we’ll actually be able to fight this creature in Fallout 76, but it doesn’t look like that encounter will actually take place at the Mothman Museum. You can find this Fallout 76 location to the north-east of Morgantown – if it’s anything like its real-life counterpart then expect a small airstrip with one large building. 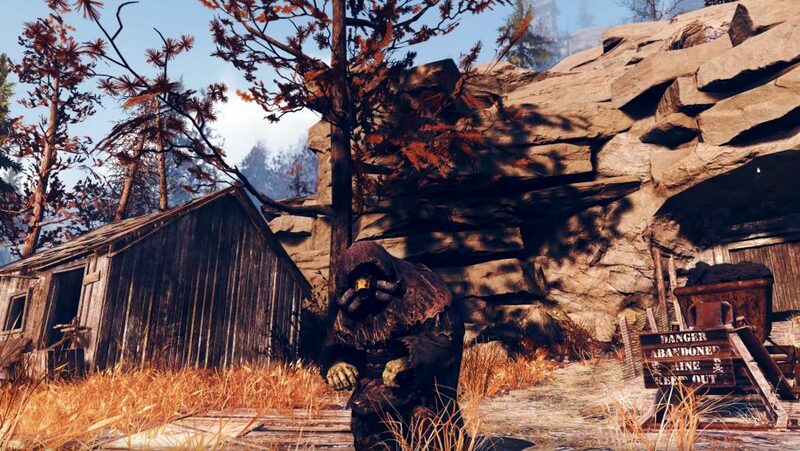 Home of the Grafton Monster, one of the many creatures from West Virginia folklore to make an appearance in Fallout 76. The town itself is quite small but might prove difficult to conquer if the Grafton Monster is around. This prison has been shown off a few times across different Fallout 76 trailers and even had a Grafton Monster patrolling outside it in one instance. Moundsville Penitentiary boasts plenty of ghost stories in real-life, so hopefully some of them make their way into Fallout 76. Originally settled by Swiss and German immigrants, Helvetia is known for its cheese and food festivals where paper maché masks are sometimes worn. Bethesda has included ten of these masks in the game for players to collect and wear, including an owl, jester, and skull mask. Another small West Virginia town that can claim a folkloric monster, Flatwoods won’t offer much in terms of buildings to loot, but hopefully the Flatwoods Monster will provide challenge and reward in equal measure. This Fallout 76 location has only been glimpsed, but appears to be a small golf resort with a pool. 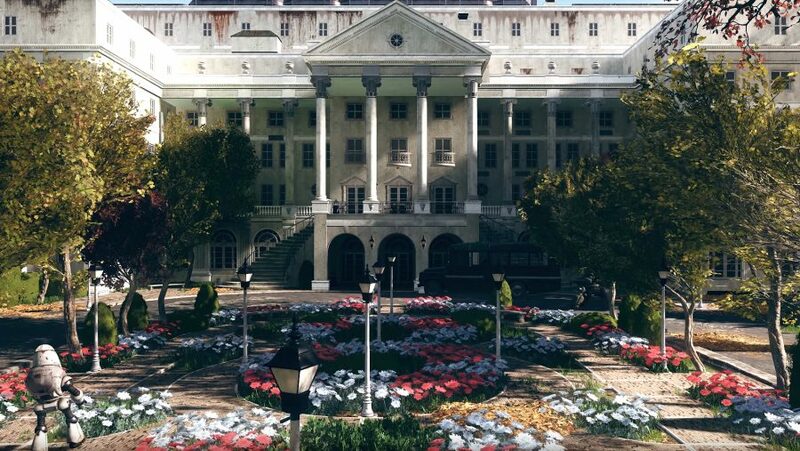 Prominently featured in the reveal trailer for Fallout 76, the Greenbriar has been a real-life resort since 1778, and there’s even a government bunker below it. The Greenbriar appears in pristine condition in the reveal trailer, with robots patrolling its gardens, so expect plenty of pre-war loot inside. We are yet to see this location in-game, but the Fallout 76 map shows a number of large buildings around the lake’s perimeter. The New River Gorge Bridge is a massive steel bridge that’s nearly a kilometre in length and was once the world’s longest single-span arch bridges. This iconic West Virginia landmark appears in the background of the Fallout 76 reveal trailer and is still standing, albeit missing a good portion of the road surface. To the west of Charleston you’ll find a Nuka Cola Quantum Plant. This site hasn’t been shown off in-game yet, but as it’s right next to a large river, you can probably expect some bright blue water and hideously mutated creatures nearby. Charleston is the capital city of West Virginia, so there will be plenty of Fallout 76 locations in and around the city. Yeager Airport, Charleston Capitol Building, a large trainyard, and a hospital are among some of the landmarks you’ll find around this city. A sign for this location can be spotted on the Fallout 76 map and appears to be based on the real-world Lost World Caverns cave network near Lewisburg, West Virginia. This could be a great spot to set up your C.A.M.P. The site of a large-scale mining operation, Mount Blair is dominated by a huge bucket-wheel excavator that is still functional. This local amusement park has enjoyed a huge amount of publicity after being shown off in the Fallout 76 gameplay reveal. In Fallout 76 it appears to be overrun by Super Mutants rather than thrillseekers. A small city with a population of 4,000, Lewisburg can be found east of Mount Blair. 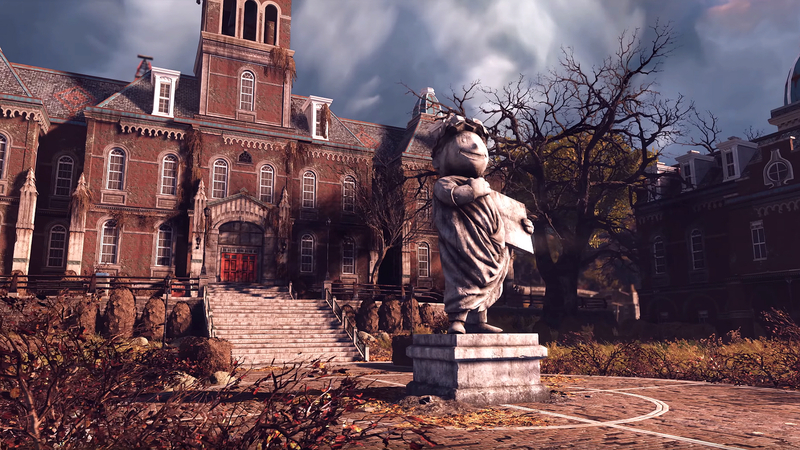 Nothing is known about the location as it appears in Fallout 76, but the town has a rich history for Bethesda to draw from. We don’t know anything about Vault 63 yet, but as Vault 76 was the first to open, we can assume that either Vault 63 is sealed and merely a landmark, or was breached when the bombs fell. If the latter is true then we’ll have a lot of ghouls to clear out. Watoga is a state park in West Virginia, but in Fallout 76 it also appears to be a major settlement with tower, monorail system, and a housing estate. It’s also worth noting that Brotherhood of Steel logos can be spotted in the town centre. This infamous building can be spotted on the Fallout 76 map, but hasn’t been seen in-game. This location was moved from its real-life position on the border between Maryland and West Virginia so that it could be included in Fallout 76. This tiny, historic town is positioned where the Potomac and Shenandoah rivers meet, but it’s unclear if the location move has changed this. 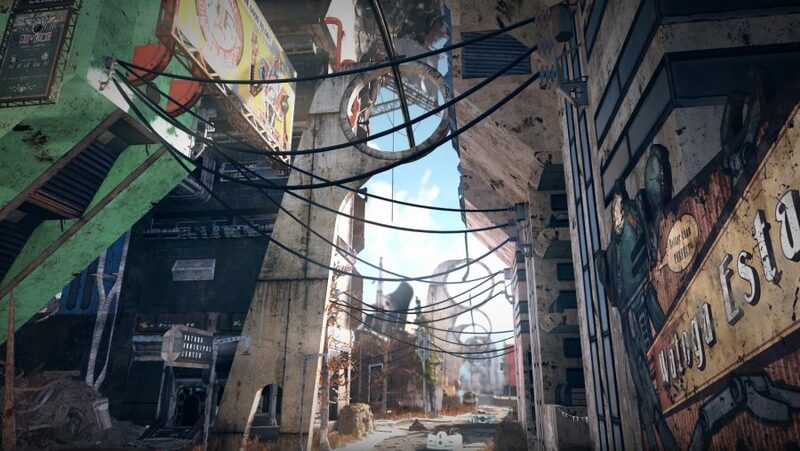 While we don’t precisely what kind of space station it is, the crashed structure has been featured in a number of Fallout 76 gameplay trailers. Aliens have featured in almost all Fallout games, so perhaps there are some nods to the Zetans or even an Alien Blaster to be found among the wreckage. 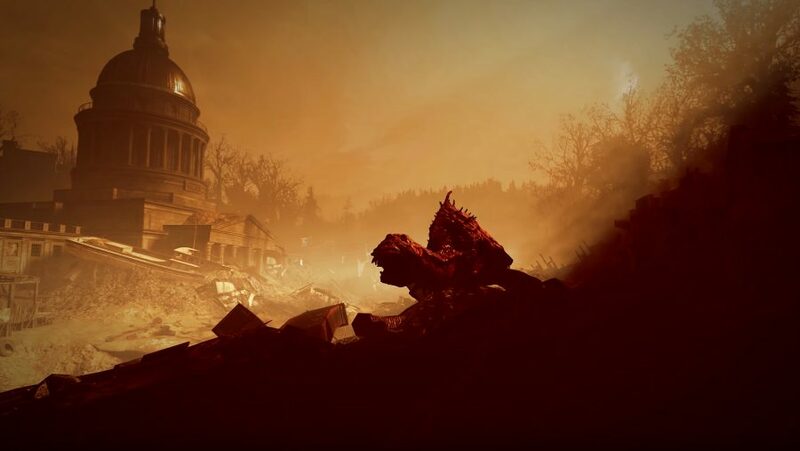 Unlike previous Fallout games, Fallout 76’s map features six regions, and while these aren’t hard borders, they do represent significant jumps in difficulty. You may be able to walk from one end of the map to the other, but you’re likely to get clobbered many times over en route. 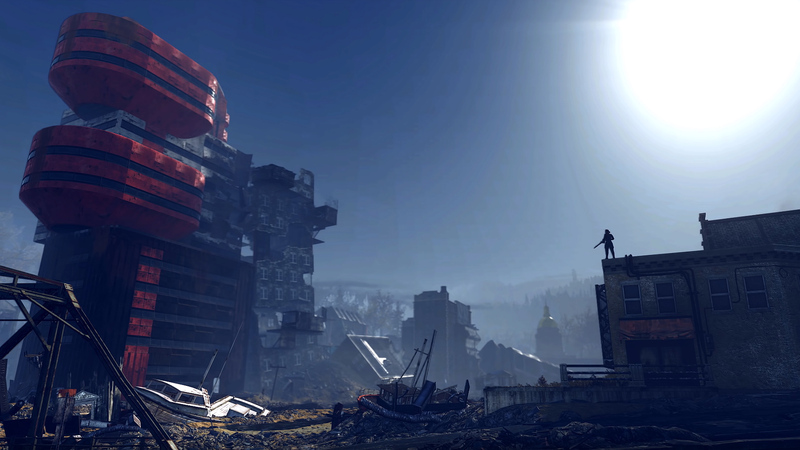 This region is the starter area and is home to Vault 76, which is where new players will enter the game. The Forest region is green, verdant, and mountainous – it’s the area that most closely resembles real-life West Virginia. Highlights of this region include the Mothman Museum, Helvetia, Flatwoods, and a Nuka Cola Quantum Plant. On the eastern border of The Forest you’ll find the Savage Divide, an arid valley that bisects the Fallout 76 map straight down the middle. Expect to find some tougher enemies here, as well as sights like the Cathedral of the Blessed Sacrament, Top of the World Ski Resort, and Grafton. The Mire occupies the north-east region of the map and features a large lake and the town on Harpers Ferry – this town was shifted over from the border between West Virginia and Maryland by developers. Judging by the dark green, this is a densely wooded area and possibly represents West Virginia’s wetlands environment into the game. To the north of the Fallout 76 map you’ll find Toxic Valley, which was an industrial area before the bombs fell. The region is carpeted with radioactive white dust, and includes memorable locations like Moundsville Penitentiary, a water park, and a crashed space station. 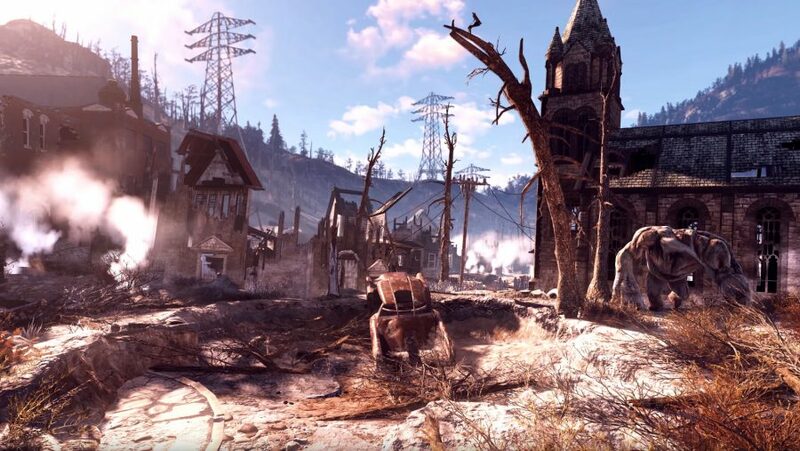 This region is rich with Fallout 76 locations to explore from cities to sprawling mining complexes. Towering above the whole region is Mount Blair, where you’ll find massive mining machines. Ash Heap also contains Camden Park, parts of Charleston, the city of Welch, and Lewisburg. Billed by Bethesda as one of the toughest regions in the game, Cranberry Bog is based on the real-life Cranberry Glades botanical area. Few locations have been confirmed for this region, but the focal point appears to be Watoga. The Fallout 76 release date is November 14, 2018. That means you haven’t got too long to wait until you can head into a brand-new Wasteland – and this time your friends can come with you.